Bechtel Corporation which is also known as Bechtel Group deals in construction and civil engineering works. It happens to be America’s largest construction company and also happens to be the 4th largest privately owned business in the country. Based in San Francisco in California, the company also deals in mining, oil and nuclear projects. 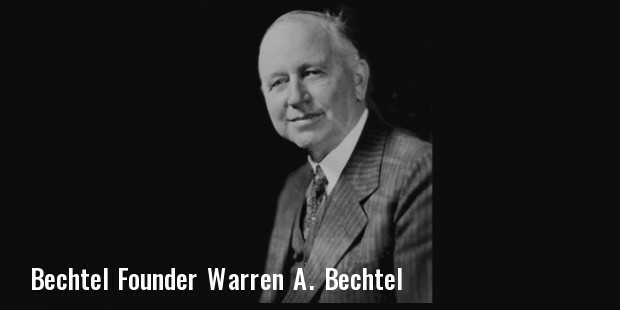 The founder of Bechtel, Warren A. Bechtel was a farmer in Peabody in Kansas. In the year 1898, he decided to move to Oklahoma and venture into constructing railroads with the help of his mules. Over the years, he kept moving from one place to another. In 1904, he moved to Oakland in California and started working in Western Pacific Railroad as a Superintendent. In the year 1906, he won a contract to construct the railroad between Oakland and Oroville. In order to develop this railroad, he invested in the latest technology i.e. a steam shovel and painted it with the name of the company. He went on to develop a lot more railroads including a part of Northwestern Pacific Railroads. In 1919, the company moved on to developing bridges, highways and roads. It also started working on its hydroelectric project in the year 1920. The company was incorporated in 1925. On the encouragement of his son, Bechtel started working in tandem with the California Standard Oil Company and ventured into building pipelines and refineries. The company also started the work to build Hoover Dam in 1931. However the project was later completed under the supervision of Warren Bechtel’s son, Stephen Bechtel Sr., due to the unexpected death of his father. This was one of the largest projects in USA of those times and also happened to be the first major project undertaken by Bechtel. After the success of the Hoover Dam Project, the company gained a lot of popularity and ventured into a number of other projects. Some of the other major projects developed by Bechtel are Trans Alaska Pipeline System, Bekme Hydroelectric Dam, Dabhol Power Project, Hong Kong International Airport, Metro Rail in Washington D.C, Channel Tunnel also known as Chunnel, Reshen Kalimash Highway - Albania, Araucaria Power Project - Brazil, Jorge Chavez International Airport- Peru, Boston Big Dig, Tengiz Field - Kazakhstan. They also developed three Natural Gas Plants in Turkey and Chemical Weapon Disposal Facility in Alabama. They ventured into project management and handled the Los Angeles Olympic Games that were held in 1984. 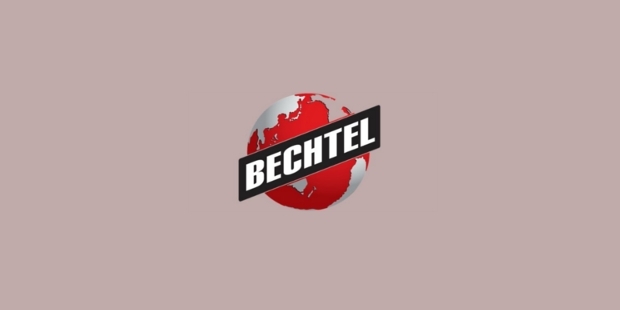 Ever since its establishment, Bechtel has gone on to grow into one of the largest companies and has its branches in a number of places like Brisbane, Dubai, Shanghai, Taipei, Maryland, Calgary, Santiago, New Delhi, Houston, Virginia, London etc. The company has various segments that handle different activities. The segments are widely divided into Infrastructure, Mining & Metals, Nuclear & Security and Oil, Gas & Chemicals.